The digestive system contains a bunch of organs (8 to be exact), everything from your stomach to your gallbladder. 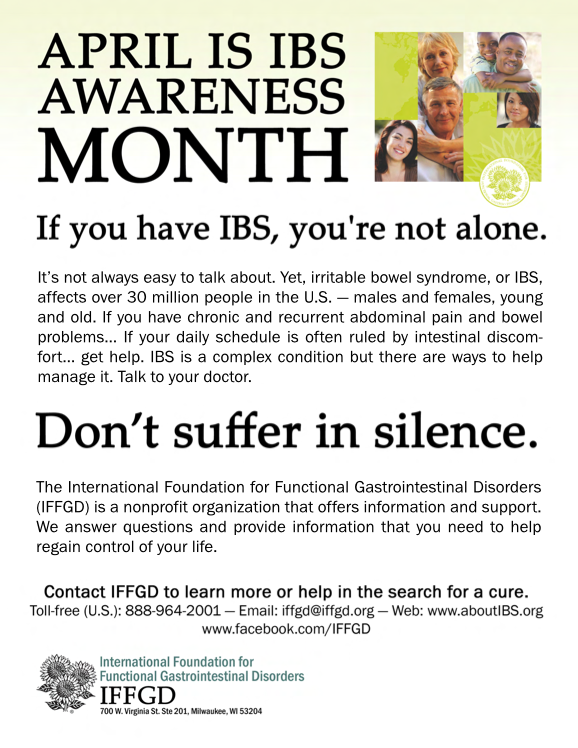 It’s important to be aware of what can affect all these parts, and this is why back in 1997, the International Foundation for Functional Gastrointestinal Disorders (IFFGD) designated April as Irritable Bowel Syndrome (IBS) Awareness Month. IBS affects the entire digestive system, and there is currently no known cause for the condition. What’s more, many people have experienced IBS, but they dismiss symptoms as routine. Common signs include chronic abdominal pain, constipation and bloating, and sometimes these will be relieved by bowel movements. 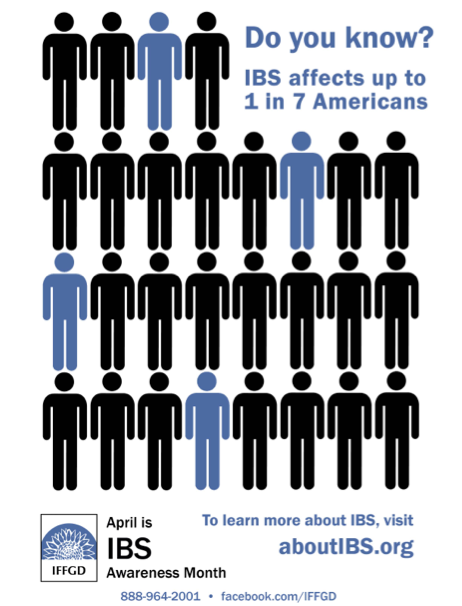 IBS is more common than you might think – different estimates report that between 10 and 15 percent of the entire global population is affected with some form of IBS1 2 – so if you’re living with IBS, you’re definitely not alone. If you’ve been diagnosed, visit the IBS community at PatientsLikeMe, where over 3,600 members are sharing their experiences in the digestive and intestinal forum. See how your day-to-day life with IBS compares to others, ask questions and get answers from people who know what you’re going through. 1 Grundmann O, Yoon SL. Irritable bowel syndrome: epidemiology, diagnosis, and treatment: an update for health-care practitioners. Journal of Gastroenterology and Hepatology. 2010;25:691–699. 2 Understanding irritable bowel syndrome. American College of Gastroenterology website. www.patients.gi.org/gi-health-and-disease/understanding-irritable-bowel-syndrome . Accessed August 15, 2013.